Here is a cool Houdini statue that sold on eBay. It has Houdini's name on the front, underneath the bust the number 1958 is printed. 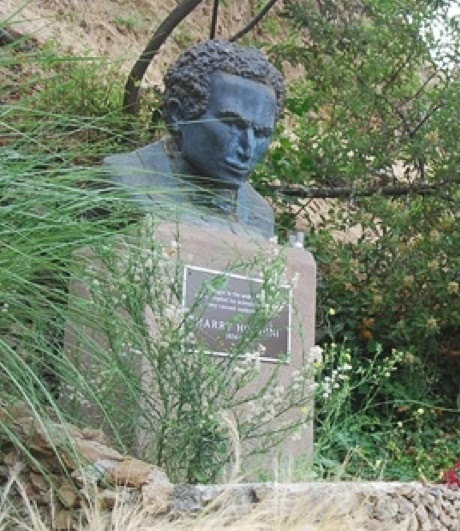 The bust stands 12 inches tall. 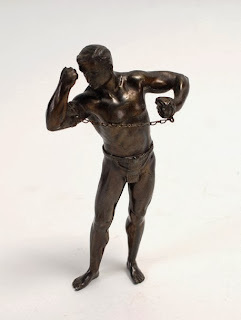 The next statue is very interesting, it's Houdini in a strongman pose. 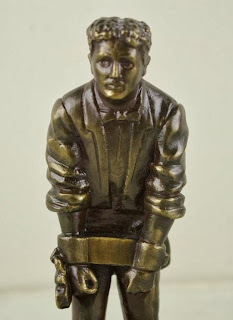 He is 6" tall and made of bronze. 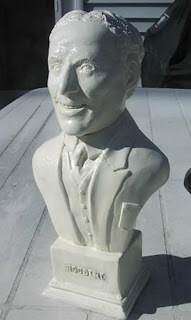 Next is a 7 inch metalware statue of Houdini was that was apparently part of a "Legends of Magic"
series. It is signed by Jack Taves. 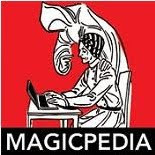 I don't know if there were other 'legends of magic' or if it just stopped with Houdini.